When will be Volcanic Odysseys next episode air date? Is Volcanic Odysseys renewed or cancelled? Where to countdown Volcanic Odysseys air dates? 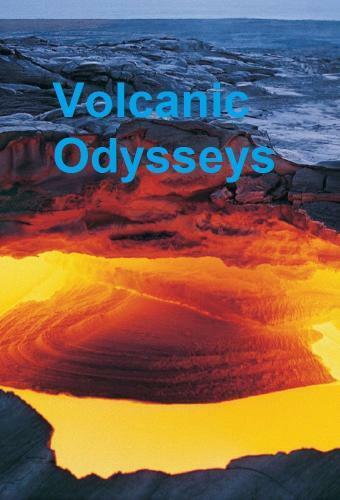 Is Volcanic Odysseys worth watching? There are few forces on earth that equal the power and destructive force of a volcano. Their impact has helped shape this planet, altered climates, and laid waste to entire civilizations. That destructive power has terrified, awed and fascinated humans for centuries. However for those who understand them, they are beautiful spectacles of the earth's inner mechanism at work. Out of the approximately 550 active volcanoes on the planet, few are ever destructive. They remain content to put on a spectacle for all those near, or increasing numbers of adventurers who dare to venture to remote locations to watch one of natures most incredible shows. Where there is a demand, there is opportunity, A small German based company Volcano Discovery is cashing in on what has become a new craze, and catering to the adventurous and volcano curious Volcanologist Thomas Pfeiffer, and his team. Volcanic Odysseys next episode air date provides TVMaze for you. EpisoDate.com is your TV show guide to Countdown Volcanic Odysseys Episode Air Dates and to stay in touch with Volcanic Odysseys next episode Air Date and your others favorite TV Shows. Add the shows you like to a "Watchlist" and let the site take it from there.